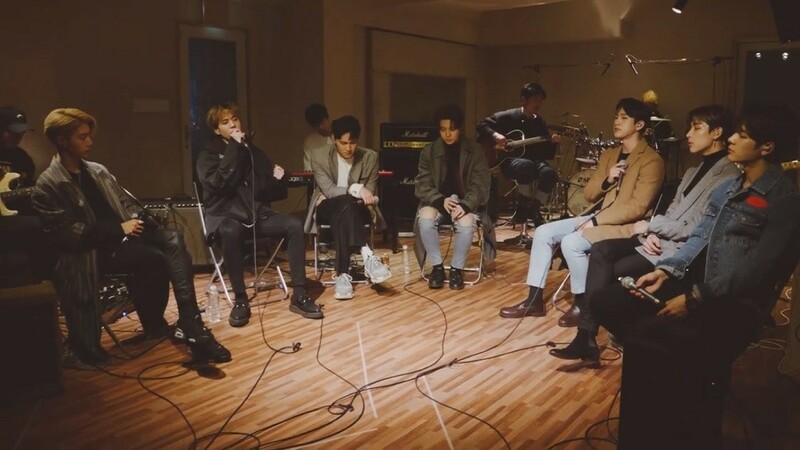 GOT7's Studio Live video of their track "Thank You" has been released! This special pre-release video through V App shows GOT7 earnestly singing to their track "Thank You" with a live acoustic band. The track "Thank You" has been written by member Jinyoung, dedicating the song to their fans, 'ahgase'.